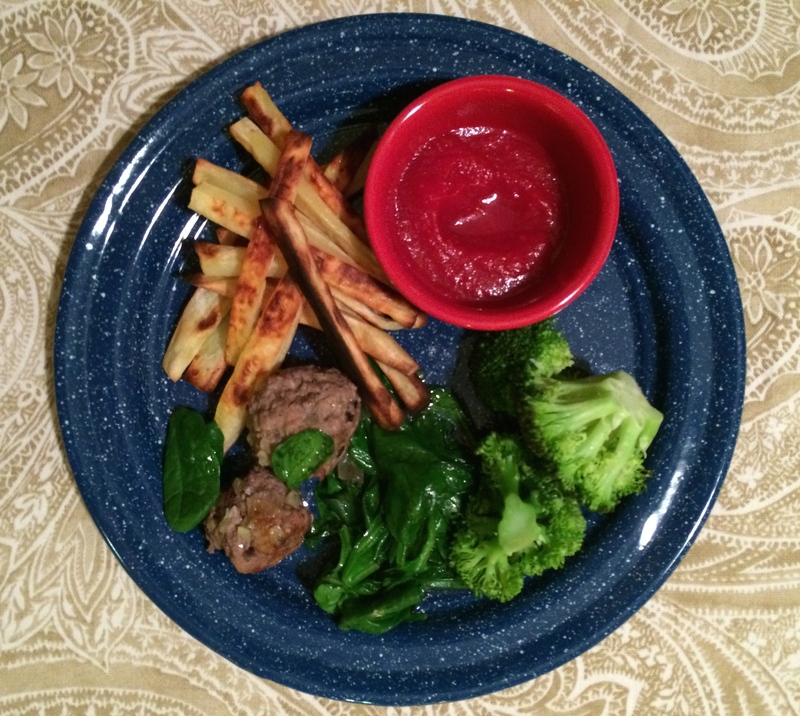 Rounding up on week 3 of the Autoimmune Paleo Protocol here! I am curled up in bed eating 2 slices of uncured bacon (the boyfriend shakes his head, “Bacon in bed?”), who could complain!! Grateful that I have always enjoyed if not loved to cook, and that I have essentially lived on a restricted diet for over a decade (Vegan, Vegetarian, Gluten-Free, Meat Eater…) it has not been difficult. The true challenge is planning out meals and setting time aside to make them. I don’t mind leftovers, but I also have a Pinterest page with thousands of pins… and I only have so much time on this earth to make them all! Needless to say I tried several new recipes this week, and I liked every one of them! The first recipe I tested out was for a cheese substitute made from zucchini. I saw it while browsing the AIP Lifestyle blog. I love a good stinky cheese, sliced up with olives and salami, and while I can certainly live without it – I find it fun to have an alternative. For this recipe I left out the Nutritional Yeast and the probiotic capsule. These certainly will add to the flavor but I enjoyed this without, and shredded it on to salads throughout the week. 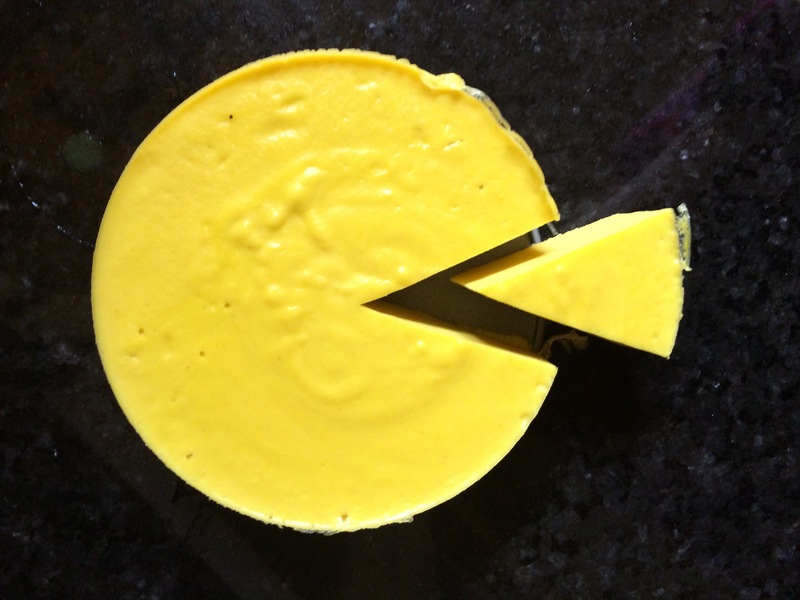 The key ingredient here is gelatin, it allows the cheese to hold shape and is easy to slice up or shred. The taste is mild and I could add a combination of herbs or spices to play around with different flavors. Also a great option for cheeseburger or pizza cravings because it slices and shreds so well. I was missing condiments this week. Hot sauce, ketchup, mustard… all the vinegary, tangy tastes that we squirt all over everything! So I made Nightshade-free Ketchup. I have used a recipe twice before from this blog that tastes really good but I didn’t have apple juice so I found this one. Both are great recipes and taste awesome with some sweet potato fries and lamb meatballs. I have also used these recipes slathered on top of mini turkey meatloaf! The flavor is sweet, tangy and it has that nice saucy texture of ketchup. Now lets talk dessert for my sweet tooth! I used a recipe from A Girl Worth Saving, for raspberry pop tarts but turned it into little apricot hand pies! In the cupboard I had a jar of all fruit apricot jelly and the dough came together quickly. The ingredients are easy enough to find a specialty store like Whole Foods, they can also be found online. It’s a short list of ingredients and simple steps. The dough rolls out like a dream, after getting it properly mixed, and bakes up nicely. The final product was moist crust filled with gooey apricot jelly. I used a small drinking glass to cut circles and used a fork to seal the edges a bit. No special equipment is needed and this would be a great baking project to make with kids. It was a great week of food. On top of these recipes I made simple meals of protein (salmon, chicken, lamb) and lots of veggies, smoothies daily to get enough greens, and soup and salad to take to lunch. Not too much effort but lots of variety and great flavor. I can’t wait for this week, who knows what I will cook up then! 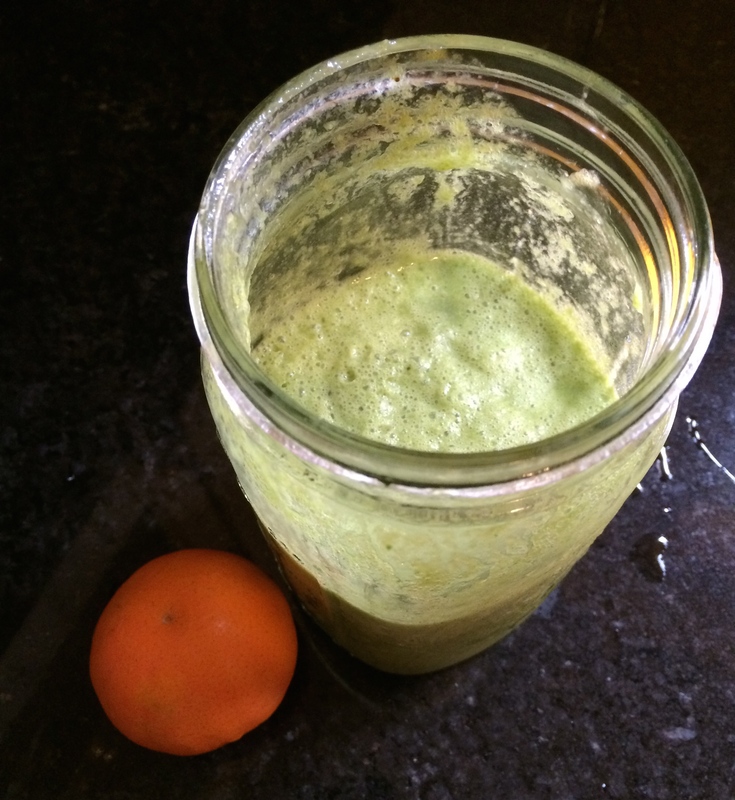 3 Cups Greens – Chard is mild and works well in this! Throw all together into your blender and buzz that baby up! Feel free to add more water or coconut milk if needed. It tastes a bit like oranges and cream to me! Drink to your health! 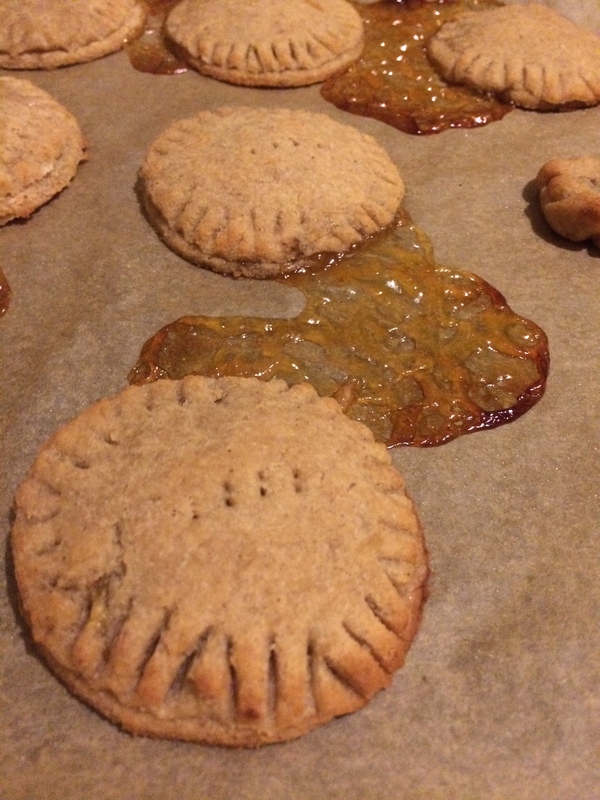 Really interesting recap of lots of cool recipes thanks for sharing!